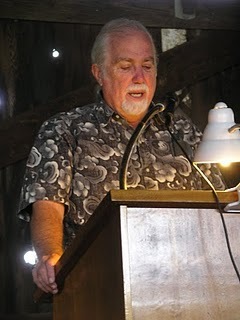 Speech delivered by Kent Whealy at the Land Institute Prairie Festival, Salina, Kansas, Sept. 26, 2010. For three years, Amy Goldman (Chair of the Board of the Seed Savers Exchange) and Cary Fowler (Executive Director of the Global Crop Diversity Trust) have been depositing portions of Seed Savers Members’ Seed Collection into the Svalbard Global Seed Vault in the far north ofNorway. Goldman and Fowler are being dishonest – to Seed Savers’ Members and in the avalanche of self-promotion from the Global Crop Diversity Trust, the entity that oversees Svalbard – by concealing the fact that being deposited in Svalbard places Seed Savers Members’ Seed Collection under the control of the United Nations’ FAO Treaty, which was specifically designed to facilitate access by corporate breeders. Goldman and Fowler targeted an exemplaryU.S.nonprofit in order to gain control of and then misappropriate Seed Savers Members’ Seed Collection of 26,000 varieties, by far the best collection of heirloom garden crops in the world. The grassroots movement to collect those genetic resources started 35 years ago. In 1975 I founded the Seed Savers Exchange (SSE) and for 33 years was its Executive Director. I created and published the nonprofit organization’s yearbooks which have listed the names and addresses of up to 1,000 SSE Members who annually offered samples of 12,000 garden varieties to other gardeners and farmers. During the 33 years that I guided Seed Savers, 3,500 Members offered 33,000 family heirlooms and rare garden varieties through the annual editions of Seed Savers Yearbook. Over the years SSE’s Members have distributed an estimated 1,000,000 samples of rare garden seeds often on the verge of extinction. That selfless sharing has resulted in SSE’s beautiful flavorful heirlooms spreading rapidly throughout Farmers’ Markets and CSAs nationwide, being widely used by chefs sourcing local foods, and has provided the foundations and resources for numerous alternative seed companies. In 1986 I made the first of five land purchases for SSE (eventually totaling 886 acres) which established Heritage Farm nearDecorah,Iowaas SSE’s national headquarters. Nonprofit donations from SSE’s Members quickly paid off Heritage Farm’s land contracts and also provided the majority of the funds for a $600,000 complex of offices, greenhouses and seed storage facilities. Each year many of SSE’s Members and thousands of visitors tour Heritage Farm’s genetic preservation projects, which include: 26 acres of certified organicPreservationGardens; Historic Orchard containing 700 varieties of pre-1900 apples and 200 hardy grapes; and two herds of endangeredAncientWhiteParkcattle, the rarest breed of cattle in the English-speaking world. SSE started maintaining a central seed collection in 1981, as a back-up strategy so that SSE’s Members could always get their seeds back if lost. Those members generously donated their family’s seeds to Seed Savers Members’ Seed Collection which steadily grew to 26,000 rare varieties by 2007. Each summer 10% of those varieties were multiplied on a 10-year rotation (about 2,000 varieties annually) and those newly grown seeds were made available to SSE’s Members and the gardening public. SSE’s system of growouts was specifically designed so that SSE’s Members would have revolving access to new seed of the entire collection over a 10-year period. Seed Savers quickly became recognized as the greatest source of unique plant material that North American gardeners have ever known. Numerous awards for the genetic preservation projects I initiated have included a MacArthur Fellowship andRussia’s N. I. Vavilov Medal for organizing and funding 12 plant collection expeditions in genetically rich, but critically endangered areas of the former Soviet Union andEastern Europe(1993-1997). During SSE’s annual growouts, hundreds of exceptional garden varieties were discovered. Nonprofits are allowed to generate “project-related revenue” if aligned with their mission, so in 1999 SSE started selling packets of heirloom seeds through Seed Savers Catalog. My stated goal was for the revenue from seed sales to eventually cover the annual costs of permanently maintaining Seed Savers Members’ Seed Collection. By 2006, only eight years later, net revenue from seed sales had already grown to $1.2 million and was supporting 72% of SSE’s operations. (And only two years after that, due to the economic meltdown, SSE’s net seed sales doubled to $2.4 million.) Financial self-sufficiency was in sight and the final step of building endowments to always support SSE’s genetic preservation projects had just begun. Amy Goldman and Cary Fowler, however, both had their own personal agendas for the Seed Savers Exchange and for Seed Savers Members’ Seed Collection. But how could they possibly take over Seed Savers, especially at the height of its success, in order to place Seed Savers Members’ Seed Collection in his Svalbard Doomsday Vault, when they both knew that I would never agree? That involved years of manipulation and deceit, which all began in 2002 when Amy Goldman was asked to be on SSE’s Board of Directors because of her funding of SSE’s projects. For years she sat silently in the background at board meetings, while quietly starting to fund the projects of existing board members and even some of SSE’s Advisors, and later placed others financially beholden to her on SSE’s Board. I was asked to sign a truly disgusting 13-page Separation and Confidentiality Agreement that would have paid me salary and benefits worth $240,000, but only if I agreed to never say a word about Seed Savers, never again speak about seeds, give up all access to and usage of my speeches, writings, photos, correspondence and research, and never again be on SSE’s Board. I refused, unwilling to sign away my voice or to take a penny of their hush money, appalled at their attempt to use SSE’s financial resources in that manner. Only three weeks after I was fired, (legally enabled and protected for three years by Neil Hamilton ) and SSE’s Board published extensively revised Bylaws that eliminated ARTICLE III – Members Rights, Benefits and Obligations, taking control away from the staff set up to serve SSE’s Members and giving it to Goldman. SSE’s revised Bylaws also made foreign-based board members legal, which allowed her to place Cary Fowler on SSE’s Board. Together they proudly announced that 485 varieties from Seed Savers Members’ Seed Collection would be deposited atSvalbard’s official opening in February of 2008 and that more annual deposits would follow until about 9,000 out of SSE’s 26,000 varieties (only those unique to SSE’s collection) have been deposited. Later the Lillian Goldman Charitable Trust made a $1,000,000 donation to the Global Crop Diversity Trust, which most likely got Amy Goldman the attention and publicity she so craves at Svalbard’s one-year anniversary dinner. None of these major organizational changes or the financial relationships between SSE’s board members have ever been disclosed in SSE’s nonprofit tax reports, as required by law. Corporate breeders now can, as a right, request those varieties from SSE’s seed vaults at Heritage Farm, splice in GMOs, then patent and sell the seed. Indeed, a 1.1% tax on patents of “derivatives” of the varieties deposited inSvalbard is the main way that the FAO Treaty will generate its funding. When confronted with my concerns about Svalbard, SSE issued a statement claiming its seeds in Svalbardare only in black box storage, belong entirely to SSE and cannot be distributed, patenting cannot occur, SSE can get its seeds back upon request, and SSE has the signed contracts stating all that. The argument about SSE’s seeds being strictly in black box storage is a deliberate deception. While it is true that the samples of the seeds actually stored in Svalbard cannot be distributed, linking those deposits to the FAO Treaty is what facilitates the distribution of those same varieties stored in Heritage Farm’s seed vaults. Numerous deceptive statements throughout Svalbard’s flood of self-promotion are all based on that lie. A more extensive letter, posted later and still on SSE’s website, claims there is no linkage between the Svalbard’s Depositors Agreement and the FAO Treaty, which is an outright lie. The unsigned letter also claims that SSE’s actions are simply adhering to “emerging international norms,” but the truth is that out of 1,470 seed banks worldwide, SSE is one of only 29 that have placed their seeds in Svalbard and the only non-governmental or non-international seed bank to do so. SSE’s members have been lied to repeatedly that participation with Svalbardis entirely free, never mentioning the estimated $200,000 for additional personnel and software needed to mesh SSE’s computers with the USDA’s GRIN-Global network. Other lies include telling SSE’s Members that fears about Seed Savers Members’ Seed Collection being made available for corporate breeding and patenting are unfounded and will never actually happen. Being written into the FAO Treaty means it will eventually happen, exactly the same way the rights of farmers to save their own seeds have gradually been made illegal by similar treaties. SSE’s publications have highly touted the new chat room set up for SSE’s Members, but any questions concerning SSE’s relationship withSvalbardor my termination are being strictly censored. Dozens of SSE’s Members have had their postings deleted and have been warned about being permanently banned if they ever attempt to place such “confidential information” on SSE’s website again. Cary Fowler, however, has made extensive use of SSE’s website and chat room to defend Svalbard and to simply dismiss me as a “conspiracy theorist” (and then he even went on to discuss the 6% of theU.S.population who still don’t believe that the moon landing happened). After my 33 years of hard work developing the Seed Savers Exchange and Seed Savers Members’ Seed Collection, how truly disgusting! Right now Cary Fowler is moving heaven and earth to place as many seed collections as possible under the control of the FAO Treaty. Back in 1990 he co-authored Shattering and was also involved in projects to create community seed banks in developing countries. But today none of those indigenous seed banks would ever think of turning over their village’s genetic heritage toSvalbard and the FAO Treaty. For 26 years Cary Fowler watched as I put together the best collection of heirloom food crops in the world, but he never said one word to me about putting Seed Savers Members’ Seed Collection intoSvalbard, dealing instead with Amy Goldman behind the scenes. Now his press releases proudly state that even NGOs are getting involved withSvalbard! Despite Cary Fowler’s rhetoric about protecting genetic resources,Svalbardis nothing more than legalized biopiracy by U.N. treaty! His Trojan horse publicity is all designed to focus attention strictly on the Svalbard Global Seed Vault and its claims of saving the world’s food production from climate change and nuclear catastrophe, with never any mention of the FAO Treaty.Svalbardis the largest corporate seed grab in the history of the world! Amy Goldman is also on the Board of the New YorkBotanical Gardenwhich wisely and rightfully has ignored the FAO Treaty and adheres instead to the principles of the Convention on Biological Diversity (CBD) signed by 191 countries in Rioin 1995. But the U.S.government has steadfastly refused to ratify the CBD Treaty because it endorses national sovereignty over seeds and recognizes the intellectual property rights of indigenous farmers with whom it attempts to provide revenue sharing. The U.S.hasn’t ratified the FAO Treaty yet, but the USDA’s National Plant Germplasm System has already deposited 41,390 accessions into Svalbard, including many Mexican varieties. Numerous developing countries who do not accept the FAO Treaty have seen samples from their countries placed in Svalbardand under the FAO Treaty without their permission. For example, 95,722 Mexican varieties have been deposited in Svalbard even though Mexico hasn’t signed the FAO Treaty. Indeed, the real purpose of Svalbard (far from being just safe storage) is to allow national seed banks in the developed countries – like the USDA and the International Agricultural Research Institutes of the CGIAR which all hold vast collections from other countries – to deposit those samples in Svalbard and under the control of the FAO Treaty without national permission. Also, derivatives created from duplicates of the samples deposited inSvalbard can be patented without knowledge or permission of the country of origin. Seed Savers Members’ Seed Collection is a truly a “peoples’ seed bank,” similar to collections of traditional seeds being maintained by countless villages of indigenous farmers worldwide. After slowly building trust in SSE for a decade, I was deeply moved when Native American gardeners began offering their sacred seeds through SSE’s Yearbooks. Over the years 140 Native American varieties were offered by members of nearly 50 different tribes (50 sovereign nations) which include: Abnaki, Acoma, Algonquin, Anasazi, Apache, Arikara, Cherokee, Chippewa, Choctaw, Cochiti, Colville, Coschatta, Delaware, Gila, Havasupai, Hidatsa, Hopi, Iroquois, Lakota, Lenape, Mandan, Mesquakie, Miami, Mohave, Mohawk, Munsi, Narragansett, Navajo, Nez Pierce, Odawa, Omaha, Osage, Paiute, Passamaquoddy, Penobscot, Pima, Powhatan, Seminole, Seneca, Tamaroa, Taos, Tarahumara, Tesuque, Tohono O’odham, Tuscarora, Wampanogg, Winnebago, Yokut and Zuni. In 2005 I supplied my friend Gary Nabhan with samples of all the Hopi varieties in SSE’s collection, which – along with the Hopi varieties being maintained by Native Seeds/ SEARCH – were given back to the Hopi in a ceremony that was the largest repatriation of native seeds in history. The following summer I included in the growouts at Heritage Farm most of the Native American varieties in SSE’s collection in anticipation of also repatriating those seeds to their tribes. My previously voiced concern that Native American seeds might be deposited inSvalbardwas recently answered on SSE’s website which defiantly proclaims that SSE’s deposit this year will include Arikara watermelon and Algonquin pumpkin. 160 amaranth, 5,300 bean, 220 beet, 60 broccoli, 30 Brussels sprout, 220 cabbage, 270 carrot, 170 cauliflower, 40 celeriac, 60 celery, 260 Chinese cabbage, 180 chicory, 900 corn, 350 cowpea, 300 cucumber, 230 eggplant, 180 endive, 200 fava, 150 gourd, 110 kale, 50 kohlrabi, 140 leek, 1,100 lettuce, 290 lima, 580 melon, 100 mustard, 140 okra, 200 common onion (and seeds of 150 perennial onion), 130 parsley, 80 parsnip, 1,200 pea, 40 peanut, 2,440 pepper, 310 radish, 250 runner bean, 70 rutabaga, 50 sorghum, 220 soybean, 150 spinach, 1,310 squash, 210 sunflower, 100 Swiss chard, 40 tepary bean, 20 tomatillo, 6,200 tomato, 90 turnip and 320 watermelon (for a total of more than 26,000 garden varieties). And that doesn’t include any of the perennial collections being maintained at Heritage Farm: 700 varieties of pre-1900 apples, 200 hardy grapes, 300 garlic and 130 horseradish. Those totals don’t begin to describe the richness of Seed Savers Members’ Seed Collection. I spent three solid years from 1981 to 1984 inventorying and compiling the descriptions of every non-hybrid vegetable variety being offered by mail-order seed catalogs in the U.S.and Canada. The first edition of my Garden Seed Inventory was published in 1984 with updated editions every few years (Sixth Edition in 2004). I designed those inventories to identify varieties in danger of being dropped, so that samples could be purchased using the revenue from each edition. I also wrote the grants that allowed SSE to sponsor 12 plant collecting expeditions in Eastern Europe and the former Soviet Union (1993-1997), which resulted in 4,000 traditional varieties from about 30 eastern countries (and Cuba) flowing into SSE’s seed collection. But the vast majority of Seed Savers Members’ Seed Collection has always been unique heirloom varieties requested annually from each Seed Savers Yearbook. Amy Goldman is still loudly professing her dedication to SSE’s members, even though her “Big Picture Thinking” (better described as “big photo op thinking”) is destroying their access to their own seed collection. SSE’s Board recently held “confidential” (secret) discussions to decide just how much of Seed Savers Members’ Seed Collection will actually be maintained. Svalbardis only interested in the 9,000 varieties that are “unique to SSE’s collection” (those that the USDA’s GRIN Global computer system determines are not in other government collections). That subset has already become the new focus of Heritage Farm’s growouts. Instead of SSE’s previous system – growing 10% of the collection each year on a 10-year rotation to provide SSE’s members with revolving access to all 26,000 varieties – Heritage Farm’s nonprofit facilities have now essentially become a growout station forSvalbard. Seed Savers mission has always been to rescue heirloom and endangered garden crops, and those genetic resources have never been more desperately needed to respond to climate change. The multiple threats Cary Fowler uses to justify Svalbard’s existence would be better served if Seed Savers Members’ Seed Collection remained freely available as intended. The heirloom varieties donated by SSE’s Members and the endangered commercial varieties rescued using the six editions of the Garden Seed Inventory include the best garden varieties we will ever see. Unlike today’s plant breeding, most of the varieties in SSE’s collection were developed before the chemical era and grow well without the use of chemicals (plus have never been exposed to GMO contamination). Organic growers in the U.S. – whether home gardeners, CSA operators, restaurant suppliers or farmers’ market growers – are the ones who will be hurt the most by SSE’s needless relationship with Svalbard. What has Seed Savers gained from its affiliation withSvalbard? Absolutely nothing! But the damage has been immense. Amy Goldman and SSE’s Board have created a protective wall of secrecy (“That’s confidential. We can’t talk about that.”), lied to SSE’s Advisors, Members, funders and donors, and maliciously attacked those who disagree with their actions. My voice as a critic of the patenting of life and agricultural genetic manipulation has been silenced. The brutal way I was terminated and subsequent lies by SSE’s Board defending their actions have destroyed the trust of SSE’s Members that I spent 33 years building. Their trumped up charges, slander and defamation of me have alienated SSE’s Members and donors, and severely damaged SSE’s financial future: long-term funders no longer trust that SSE’s projects will be maintained, bequests are being rethought and possible endowments have evaporated. SSE’s greatest treasure was its collection of 26,000 vegetable varieties, donated mainly by 3,500 SSE Members who for 33 years selflessly shared their families’ heirloom seeds. That incredibly rich legacy – the greatest genetic resource that North American gardeners have ever known – has been stolen from SSE’s Members and is being systematically turned over to the U.N.’s FAO Treaty designed to facilitate access by multinational corporations, not by gardeners and farmers. Amy Goldman has traded Seed Savers Members’ Seed Collection for an international photo op in the permafrost beside the Svalbard Doomsday Vault. For three long years her misuse of SSE’s nonprofit resources has been legally enabled and empowered by Neil Hamilton, while Cary Fowler is lying his way towards a Nobel Peace Prize. By putting Seed Savers Members’ Seed Collection intoSvalbard, SSE’s Board has broken the trust of thousands of current and former Seed Savers’ Members who donated samples believing that their families’ heirloom seeds would always be maintained and protected from exactly this kind of misuse. Svalbard’s depositors can annul the agreement and recover their seeds, but that won’t happen as long as the majority of SSE’s board members are being funded by Amy Goldman or are profiting from their positions on SSE’s Board. Given the steadfast defiance of Amy Goldman and the continuing inaction by SSE’s other board members, legal action will be required to get SSE’s seeds returned. For three years SSE’s Board has denied all of my requests, so I have filed a lawsuit to prevent my name being taken off of the watershed books and inventories that I spent years compiling, and to regain access to and usage of my speeches, writings, photos, correspondence and research. In addition, I will pay all of the costs for any lawsuit brought by any SSE Member who donated to Seed Savers Members’ Seed Collection, only to see their family’s seeds now deposited inSvalbard. And I will not stop until Amy Goldman, Cary Fowler and Neil Hamilton resign from SSE’s Board and all of Seed Savers Members’ Seed Collection is returned fromSvalbardto Heritage Farm and the rightful control of Seed Savers’ Members. *Neil Hamilton is the Director of the Agricultural Law Center at Drake University whose “Garden Policy Conference” at Drake University Law School in October 2006 was funded by the Lillian Goldman Charitable Trust (Amy Goldman is the sole trustee). For three years Neil Hamilton has legally empowered and protected Amy Goldman, and his legal expertise has enabled this entire fiasco. Related: The Great Seed Robbery by Vandana Shiva. This entry was posted in Biotechnology, Genetically Engineered Food and tagged biotech, dna theft, fao, genetic engineering, global crop diversity trust, kent whealy, monsanto, seed savers exchange, seed vault, seeds, svalbard global seed vault. Bookmark the permalink. The corruption is everywhere. Arm yourself with knowledge. This is very disturbing news to me. I am a member of SSE, and never thought I would be reading something like this. Plan to write to them. I will not renew my membership. You are right Wanda, corruption is everywhere, but I sure didn’t think I would see it at SSE. if they can make money and gm from anything..they will. so save heirloom seeds and share locally, and keep the Original idea going. be damned to svalbard and the gm and corrupt bastards. Our family farm was very supportive of the SSE and Kent Whealy back in the ’80’s and ’90’s. We felt unbelievably good about what Kent was accomplishing! It was a valid cause for optimism, just like selling milk to Organic Valley, first gave us some cause for optimism. That’s all gone now. These ‘people’, these corporate carpetbaggers, rapists and murderers and thieves, monsters really, need to hang. I am not kidding, they need to hang, be given the chair, or lethal injection. They are wanton killers of life, and the things that make life good. thanks for the tip, Ned. yeah, the merchant class needs to be reined in, for sure. they’ve become even more abusive than the nobles they replaced. This is just horrific. Such disgusting greed and thievery on the part of those people. I hope the situation is righted. I wondered what happened to Ken….I wont be donating or buying any more seeds from SSE,danged lying globalist monsanto lovers! Seed Saver’s Exchange banned some individuals and the Millions Against Monsanto NYC group from its Facebook page for posting this article on there and politely asking “What’s up with that?” and similar questions. Nice, huh? I went and posted it on their wall again with a question about 10 minutes ago .. Lets see if they will respond with an answer or by banning me too. They banned me too. They will continue to silence the truth. The tried to buy off Kent with $240,000 in exchange for his silence. He refused. We cannot let this go unanswered. Really? Monsanto needs to get seeds from Svalbard? Wouldn’t it just be a heck of a lot easier for them to simply order whatever they want from any heirloom seed seller under an employee’s name?